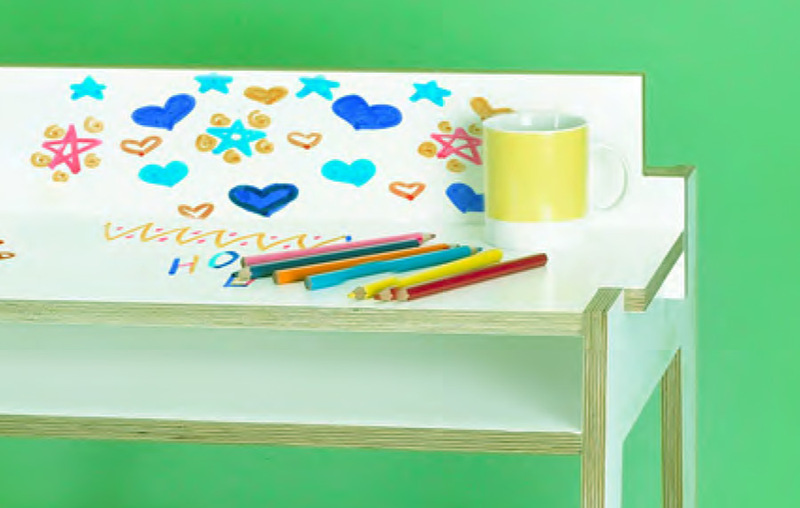 I was brought on board to design and project manage a new contemporary range of childrens flat pack furniture called 'ecol-age'. 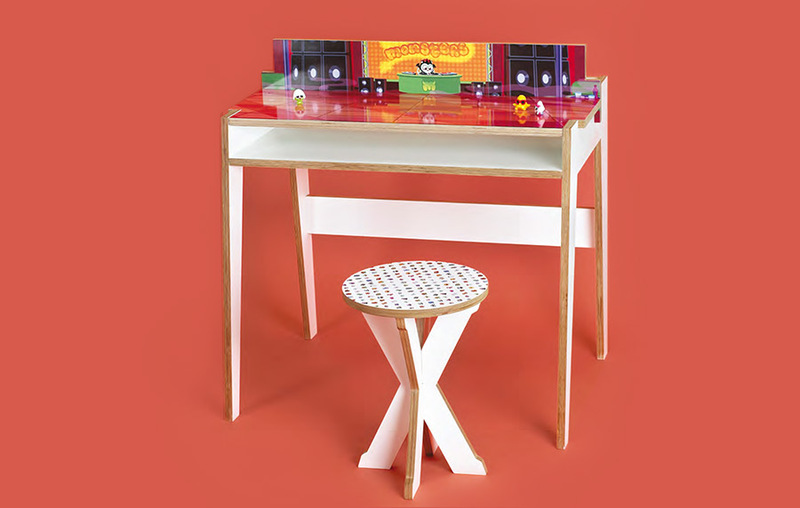 The main focus of the range was a desk that featured two-faced desktops which flip simply according to mood & activity of a child, eg; a white side for homework and a picture side for play time. 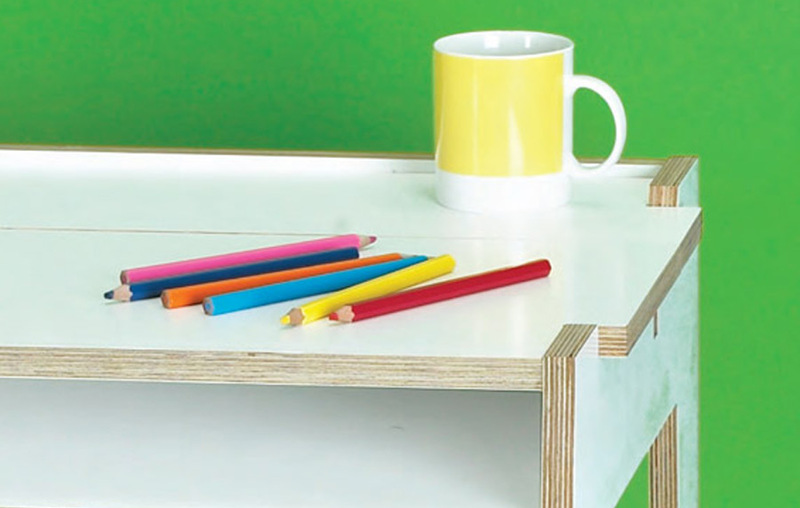 All items are designed following a strictly modern aesthetic with clean lines, minimal embellishments & plywood construction. Concept computer models were created to help show the overal design and construction to the client. 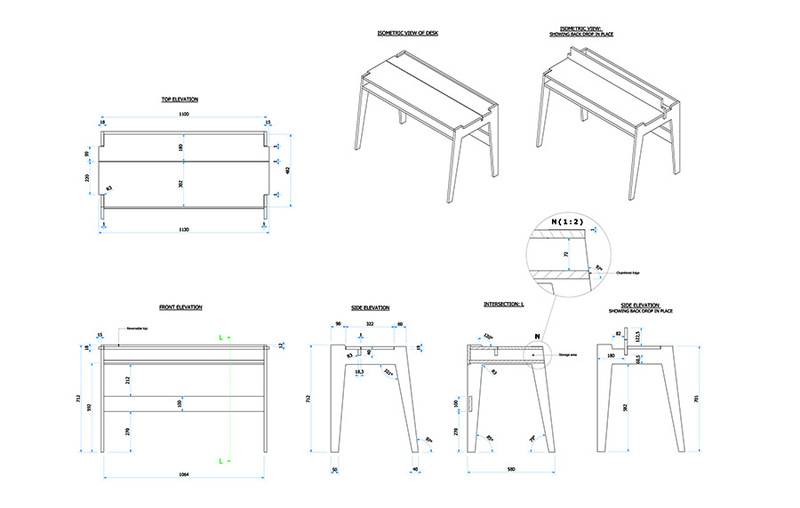 Detailed manufacturer drawings where then sent to the factory in China for production. 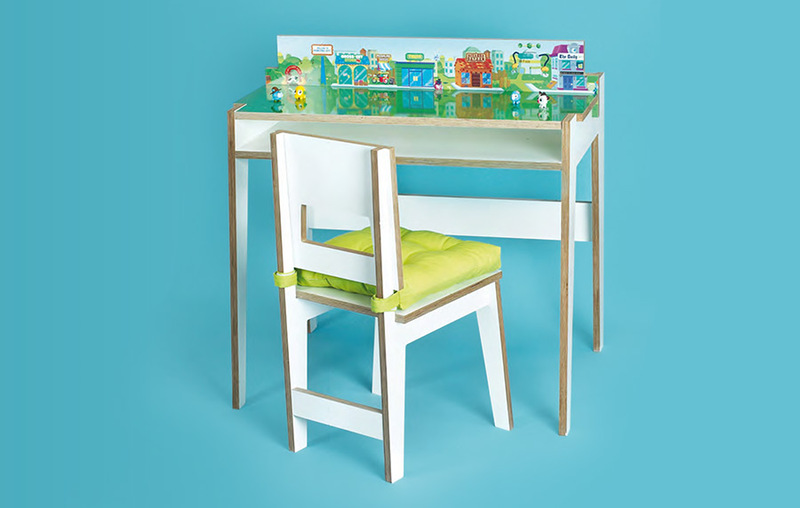 The ‘ecol-age’ desk is the hub of the range, featuring the two-faced desktops which flip simply according to mood & activity eg white side for homework and picture side for play. 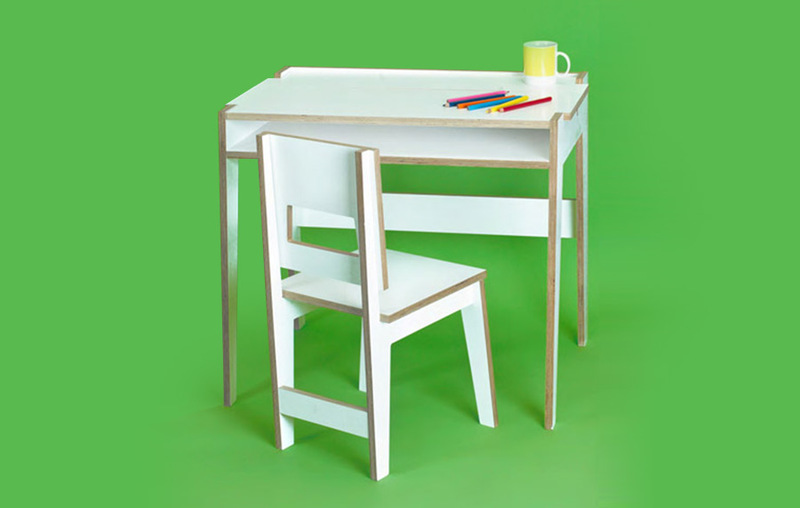 Made from laminated plywood, the finished furniture was of crisp and high quality. Photo showing the' back drop' up which brings a 3D dimension to the desk where children can . My client had a license that allowed us to use their imagery and branding. With the "back drop" up the child can truly immerse themselves. We also designed a range of generic printed tops, this was a beach scene. 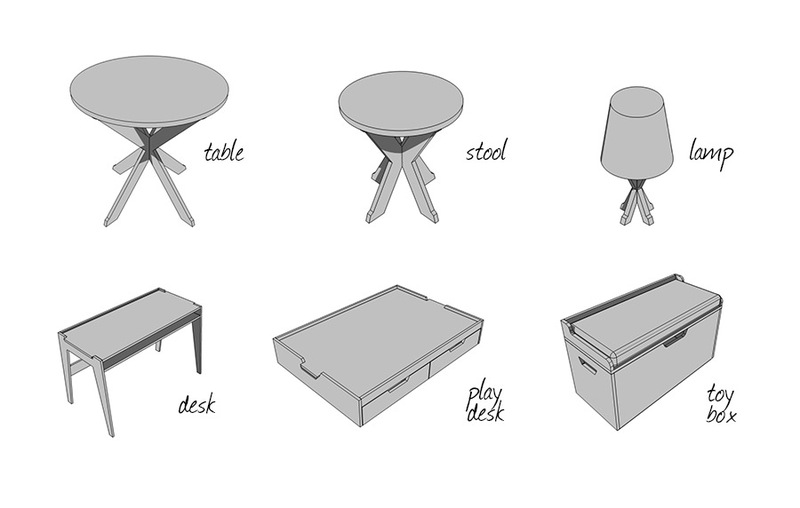 Here are a few early design concepts I did for the client to help establish the full range of flat pack childrens furniture. 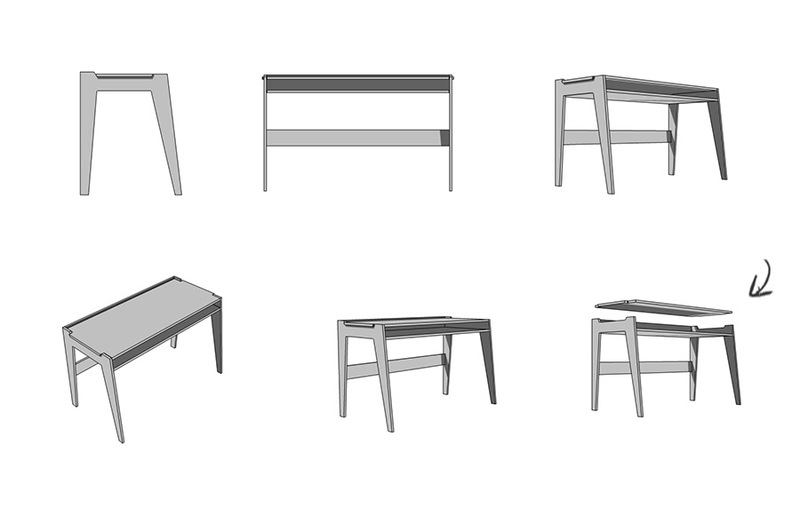 Unfortunately only the desk, chair and stool were taken forward into production due to costing issues. 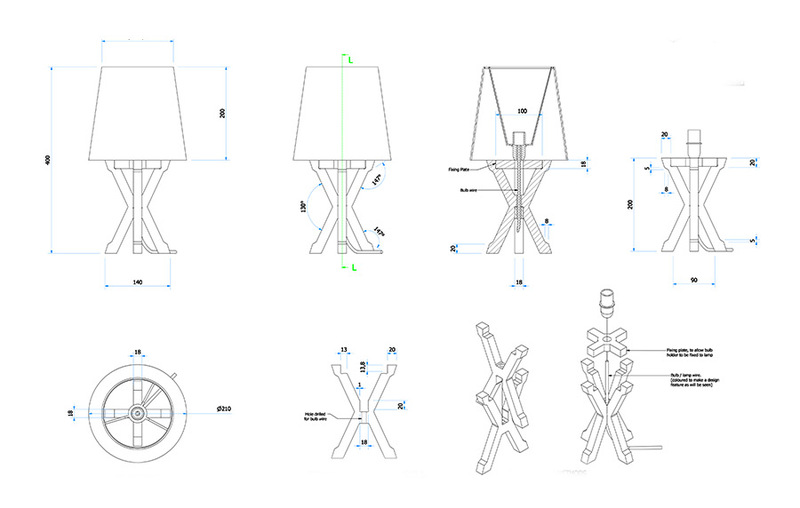 Here's another example of one of the annotated drawings I sent to the manufacturer. 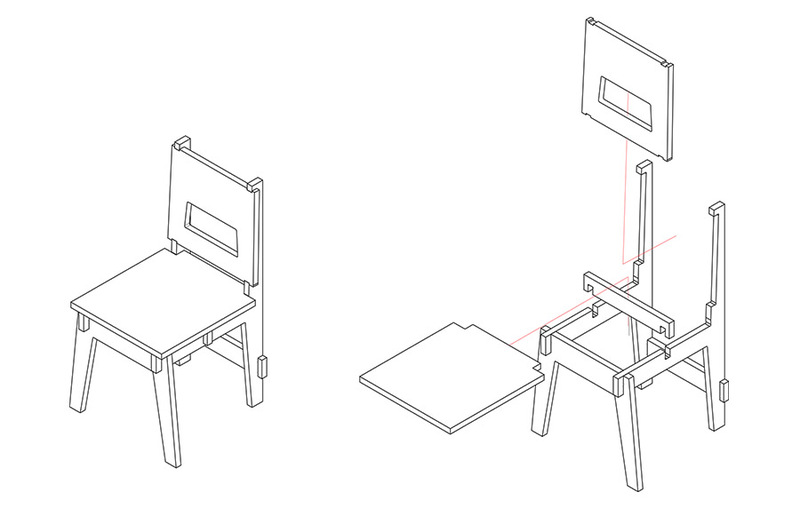 To accompany the CAD drawings and 3D models I sent across dexplosion drawings that helped explain the construction..